Introducing our Inaugural 2018 Alfa Romeo Stelvio Q4 AWD SUV in stunning Vulcano Black Metallic! Seductive, Spacious and Stylish describes the newest member of Alfa Romeo's Italian family. Be prepared for the incredible performance of our TurboCharged 2.0 Liter 4 Cylinder, giving you 280h paired with our 8 Speed Automatic transmission. Our All Wheel Drive will easily reach speeds up to 144mph while rewarding you with near 28mpg on the open highway. With commanding and precise control on any road, your mind will be blown by this high-performance SUV that drives like a sports car. You will be immediately attracted to the alluring exterior with its sleek lines and gracious curves. Aluminum roof rails, 18-inch 5-spoke aluminum wheels, and the Trilobo front fascia. Open the door to our Stelvio and become mesmerized by the multitude of amazing amenities including comfortable Nappa leather seating with power front seats, a 40/20/40 split fold-down rear seat, the informative 7-inch color display, heated steering wheel, power liftgate, and push-button ignition. A prominent 6.5-inch widescreen color display is the hub for your 8-speaker premium audio system with HD radio, remote audio controls, and Bluetooth. Alfa Romeo enhances its performance and driving experience with enhanced safety features such as Hill Descent Control, rear parking sensors, a rear backup camera, advanced brake assist, airbags, and traction control in order to provide peace of mind. Our gorgeous Stelvio SUV is a maiden voyage! Come along for the ride! Print this page and call us Now... We Know You Will Enjoy Your Test Drive Towards Ownership! Our 2016 Acura RDX SH AWD SUV presented in Crystal Black Pearl is easily one of the most stylish and sophisticated SUVs on the market with unmatched quality, maneuverability, and fuel efficiency! Motivated by a 3.5 Liter V6 that produces 279hp and is perfectly matched to a responsive 6 Speed Automatic transmission for passing ease. With the tenacious traction of this All Wheel Drive, this SUV's acceleration will make your pulse race and yields nearly 27mpg out on the open road. Our RDX has a sleek modern stance that is beautifully accented by Jewel Eye LED headlights. With a modern style and legendary capability, our family-friendly One Owner 2016 Ford Explorer XLT 4WD looks great in White Platinum! Powered by a 3.5 Liter V6 offering 290hp on demand while tethered to a responsive 6 Speed Selectshift Automatic transmission. This sure-footed Four Wheel Drive Explorer delivers near 24mpg plus responsive steering and smooth handling that will have you looking for reasons to get out find adventure! Upscale and bold, the stance of our XLT is enhanced with newly styled LED headlights and taillamps. Open the XLT door and check out the leather-wrapped steering wheel, the high-tech instrument panel, the Sync with MyFord Touch display screen, Bluetooth, and an impressive sound system with available satellite radio. You'll truly appreciate the versatility of a 60/40 split second-row seat and 50/50 split third row as today's modern family requires a vehicle that can keep up with their demands and this SUV fits you! Take command of the road in our 2016 Jeep Cherokee 75th Anniversary Edition 4WD SUV brought to you in Brilliant Black Crystal Pearl Coat! The 2.4 Liter 4 Cylinder provides 184hp while paired to the class-exclusive 9 Speed Automatic transmission for impressive passing power. This Four Wheel Drive team work together to offer you near 28mpg on the highway. You'll leave others in your tracks with superior performance and auto, snow, sport, and sand/mud modes to optimize traction. The sculpted stance of our Cherokee 75th Anniversary Edition exudes confidence with a dual pane panoramic sunroof, Jeep Bronze Badging, and other eye-catching bronze accents. Inside, you'll see that the 75th Anniversary Edition cabin's layout is driver-friendly with everything perfectly in place. Enjoy a seamless connection with our Bluetooth integrated voice command, Uconnect touchscreen interface, and USB/iPod integration. For work or play, our Jeep has all the creature comforts you'll need to keep that smile on your face. Our Jeep Cherokee provides assurance on the road with excellent safety scores thanks in part to a ParkView back-up camera, anti-lock disc brakes, stability/traction control, and multiple airbags. This winning combination of capability, comfort, and style will help you make a great first impression and serve you well for years to come. Print this page and call us Now... We Know You Will Enjoy Your Test Drive Towards Ownership! With stunning good looks inside and out, our 2016 GMC Terrain SLT AWD SUV presented in Onyx Black is the total package! The 3.6 Liter V6 powers out 288hp while paired with a 6 Speed Automatic transmission which results in an exceptionally quiet ride, great handling, and near 24mpg on the open road in this impressive All Wheel Drive. The distinctive exterior of our SLT stands out with a striking grille, roof rails, and chrome clad wheels. Inside the SLT, you'll appreciate the convenience of remote engine start as you admire the graceful lines of the dash, comfortable perforated leather on heated seats, and leather-wrapped steering wheel. With a Pioneer audio system, touchscreen interface, available satellite radio, an auxiliary audio jack, an iPod/USB interface, Bluetooth, and available OnStar with a WiFi hotspot, maintaining a safe connection to your digital world will be no problem! You'll feel confident knowing you are protected by GMC's meticulous engineering that includes anti-lock brakes, stability/traction control, airbags and a rearview camera. OnStar also provides automatic crash notification, emergency assistance, remote door unlock and stolen vehicle assistance for added peace of mind. With innovative technologies, superior fit and finish, and exceptional safety features, Terrain delivers without compromise! Print this page and call us Now... We Know You Will Enjoy Your Test Drive Towards Ownership! Come experience our 2014 Acura RDX SH AWD SUV with Technology package, shown in beautiful Crystal Black Pearl, is an ideal blend of refinement and performance. Powered by a 3.5 Liter V6 that provides you with 273hp while paired with a smooth shifting 6 Speed Automatic transmission for superior passing. This Super Handling All Wheel Drive delivers near 27mpg on the highway. Every time you get behind the wheel, you will be impressed with this machine's capability and all it has to offer you and your family. Our RDX boasts elegant proportions and luxurious refinement with its spacious interior. You are going to love its smooth contours and top-notch finish. 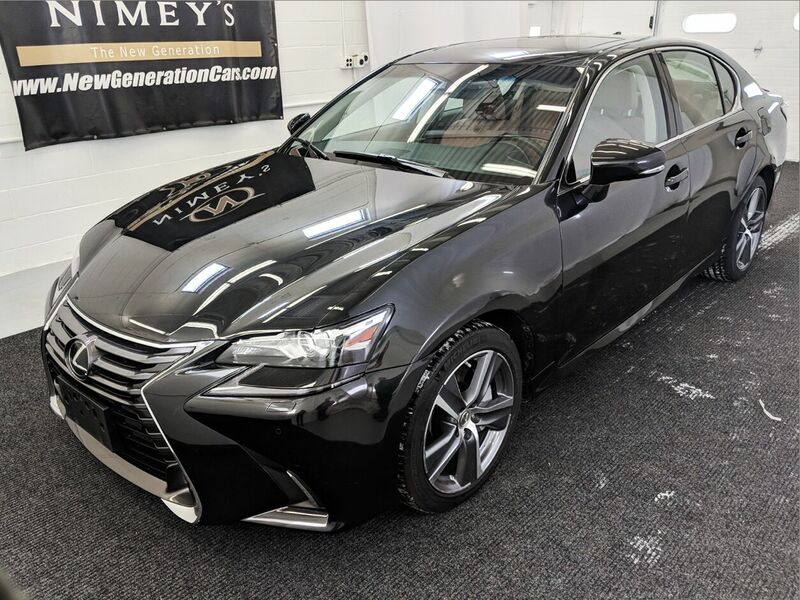 Settle into the supportive heated leather seats with driver memory and take note of the wealth of amenities that await you including a sunroof, multi-view rear camera, climate and humidity control, Bluetooth and hands-free link. The already included Technology package is sure to delight you with its color-touch navigation and AcuraLink Real Time. There is so much more to discover with this SUV, just waiting to impress you. Go ahead crank up the powerful audio system with available satellite radio, and be on your way to your next adventure.